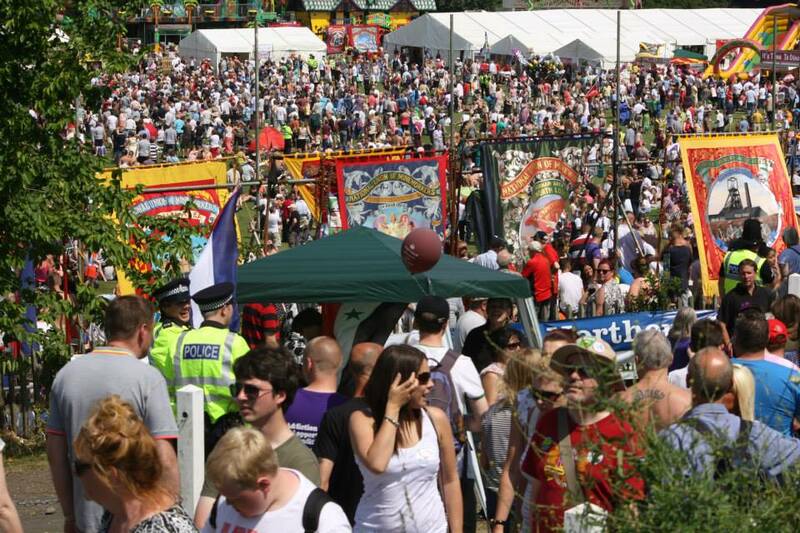 In an era of so-called individualism the sun shines on collective solidarity! Over the past few days I’ve been trying to finish off a piece on the Outcomes agenda and Youth Work. At the heart of the Young Foundation’s Framework is an emotionally resilient, self-reliant young person, floating free of social circumstances and social solidarity, who just needs to pull up their own socks. After which all will evidently be well – at least for that particular individual. At a stroke at least 50 years of a youth work practice, which strove to emphasise the heterogeneous nature of youth is wiped out. It is as if, for example, autonomous work with young women or black young people founded on their shared collective concerns never happened. 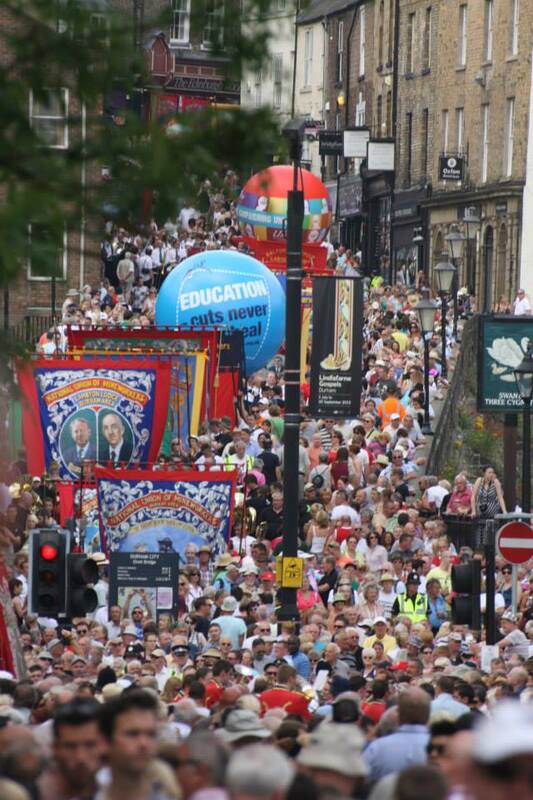 However my mood was lifted this morning by the sight of photos from Saturday’s sun-drenched Durham Miners’ Gala. There is a connection. Back in 1984 the Community and Youth Workers Union was amongst the first to send from its national conference a message of solidarity to the National Union of Mineworkers. Across the country youth and community workers saw support for the miners as utterly at one with their commitment to an anti-oppressive practice worked out with young people. Thus in Leicestershire and Derbyshire, where I worked during this period, youth and community workers from the County and City councils, students from the old Scraptoft College, were prominent in the miners’ support groups, collecting food outside supermarkets, standing shoulder to shoulder on picket lines. 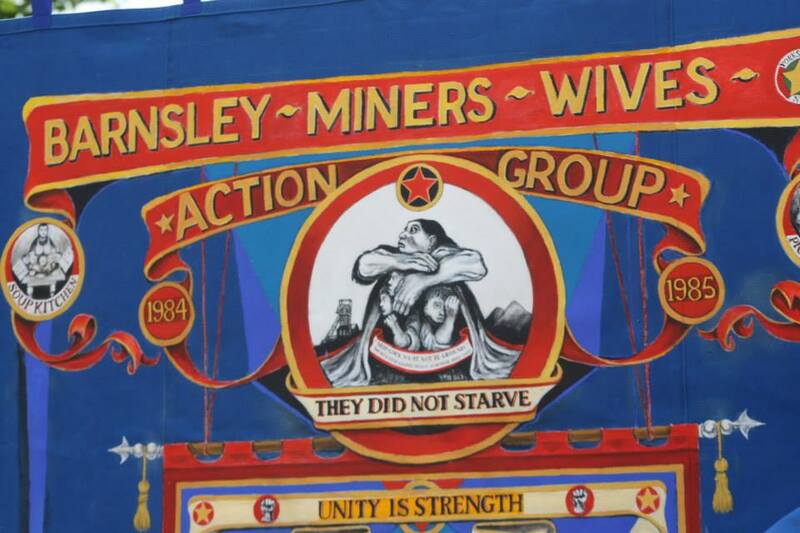 Some women even enjoyed honorary membership of the miners’ wives groups. Today, whilst the NYA still talks of ‘promoting justice and equal opportunity’ in its Draft Code of Ethics, practice seems overwhelmingly individual in its focus. And indeed workers venturing a collective perspective are all too often silenced. I’m not arguing that practice in the past was at all perfect. We made many mistakes. However our understanding, that the struggle for social justice is a consciously organised collective activity or it is but hot air, needs fresh and open debate. And whilst remembering the pivotal Miners dispute it’s over a year since Malcolm ‘Benny’ Pinnegar, one of the leaders of the Dirty Thirty striking miners in Leicestershire, died. Benny was well-known to and loved by many of us in the area. In the context of this argument he influenced us deeply because he questioned everything. He was that rare specimen, a good listener as well as a passionate orator. He loved an argument, a critical conversation. He was a working class philosopher with an enormous love for life. I don’t think it is too pretentious to say that our best tribute to Malcolm and thousands of other activists from across the social movements is to keep alive a volatile and vibrant, critical and collective youth work tradition, which is rooted in the global struggle for social justice. And here’s a tribute to the Dirty Thirty, written and sung by Alan Parry.